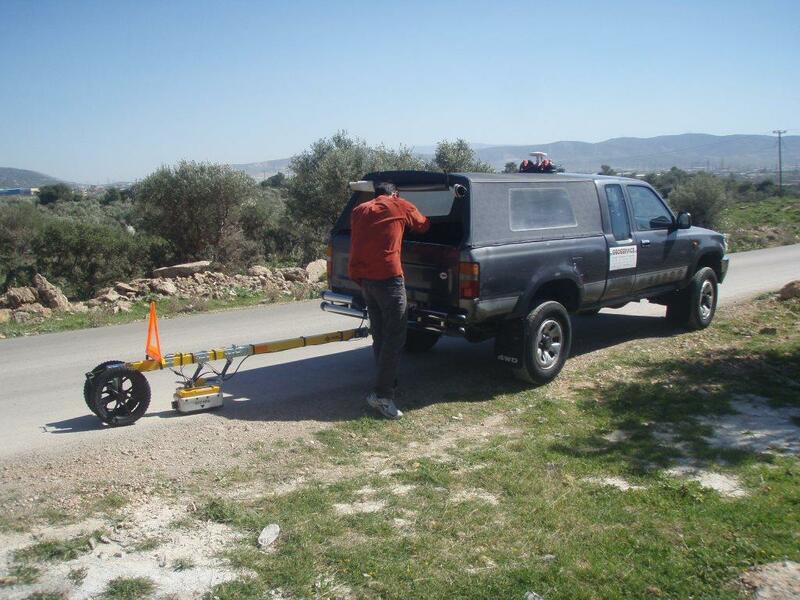 In the 1990s we created the company GEOSERVICE to introduce in Greece the services of applied geophysics in most fields related to the exploration of the subsurface. For 27 years, we have only one rule in GEOSERVICE: “Quality and Responsibility for all our customers”. A rule that has given us the first place in the field of geophysics in Greece, for a long time. The recent extreme weather events that have plagued Greece have destroyed some but also total basic transport infrastructure. Roads and bridges have been destroyed, and the strong drainage of the storms has created visible and invisible damage on infrastructures. Exact knowledge of the location, depth and geometry of these problems below the road surfaces can prevent future failures with targeted interventions, when of course they can be accurately identified so that the interventions on them can be properly studied. Pavements require careful monitoring at regular intervals for the possible development of underground problems that increase over time and often end up becoming dangerous for safe traffic. It is therefore necessary for engineers to know precisely the location and extent of these hidden problems in order to fully control the interventions by accurately calculating the cost and time of the work. These problems are recognizable today by the Ground Penetrating Radar method (GPR). Geoservice uses a modern GPR system equipped with dedicated electronics and GPS positioning systems. A complete set of radar antennas gives information from the asphalt surface up to many meters below it. Simultaneously, a modern positioning system (GPs) records the course of road scanning with great precision. The scan is completed with a continuous video recording of the road that is synchronized with radar data via DTMF technology. Radar data appears at the time of screen scanning and is saved on digital media. This enables a full collection of visual, surface, subsurface and spatial information on the road being examined. The data is processed and the geometry of the underground pavement layers is mapped. It measures the thickness of the pavement, the base, the sub-base and as well as the depth to the natural ground, but also identifies the problems inside and under these layers. At the end of the test, all optical, surface, underground and spatial information retrieved is presented on digital media through a user-friendly software and compatible with modern applications of geographic information systems such as Google Earth and others. In this way, the engineer is able to "drive" the vehicle again on the road being scanned and carefully study every detail of each suspicious point in the recording, having in front of him the image of the video and precisely locating the position. At the same time, he has the opportunity to go back and forth, and the section of the ground will also move synchronously, indicating the position of the vehicle at all times in the overall recording as well as in Google Earth. 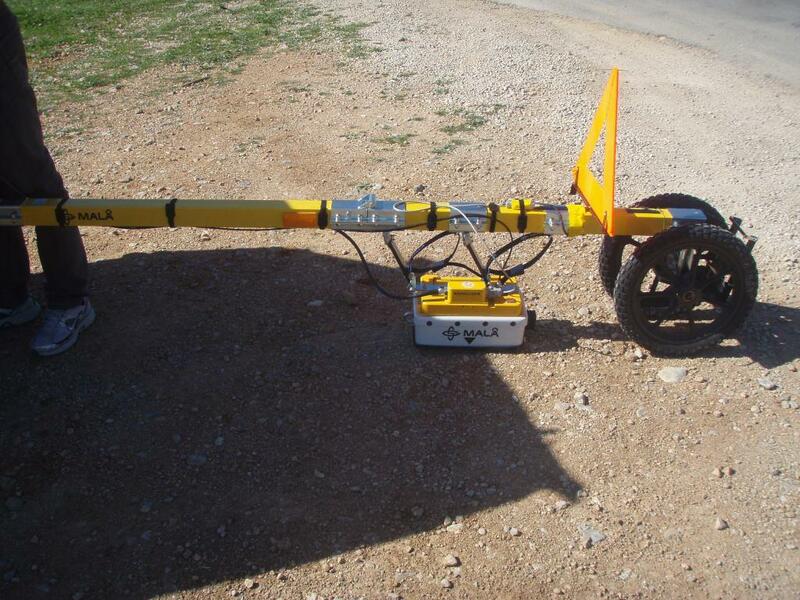 Geoservice's radar control system quickly provides all the necessary information to the road, maintenance, government and all operators of majo road axes for the rational management of road maintenance works.